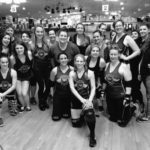 Every sport has it rivalries, but few are as big as the one between the Charlotte Roller Girls and the Columbia Quad Squad. On Sunday, May 17, the two face off once again at the Grady Cole Center, Charlotte’s home location. The last meeting for the two foes was in October with Charlotte taking the win. The rivalry between the two leagues dates back to their first meeting in 2008. 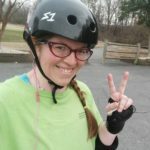 It was Charlotte’s inaugural home bout and the two fought tooth and nail with Columbia walking away with a narrow victory. In October, Charlotte traveled to Columbia for a rematch and got their revenge by grabbing the victory. 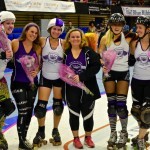 The Charlotte Roller Girls are the Queen City’s only female flat track roller derby league. Formed in 2006, it has two interleague teams, the All-Stars and B Dazzlers. The roster for each team changes throughout the season with players transferring from team to team based upon individual performance. The All-Stars will battle against Columbia on May 17. Seating is limited and fans are encouraged to arrive early. Doors will open at 5:15 p.m. with the bout starting at 6:00 p.m.